Pusillanimous is a word that doesn’t get used often enough anymore. It means to be timid, or cowardly. You should always strive not to be pusillanimous. Or in other words? 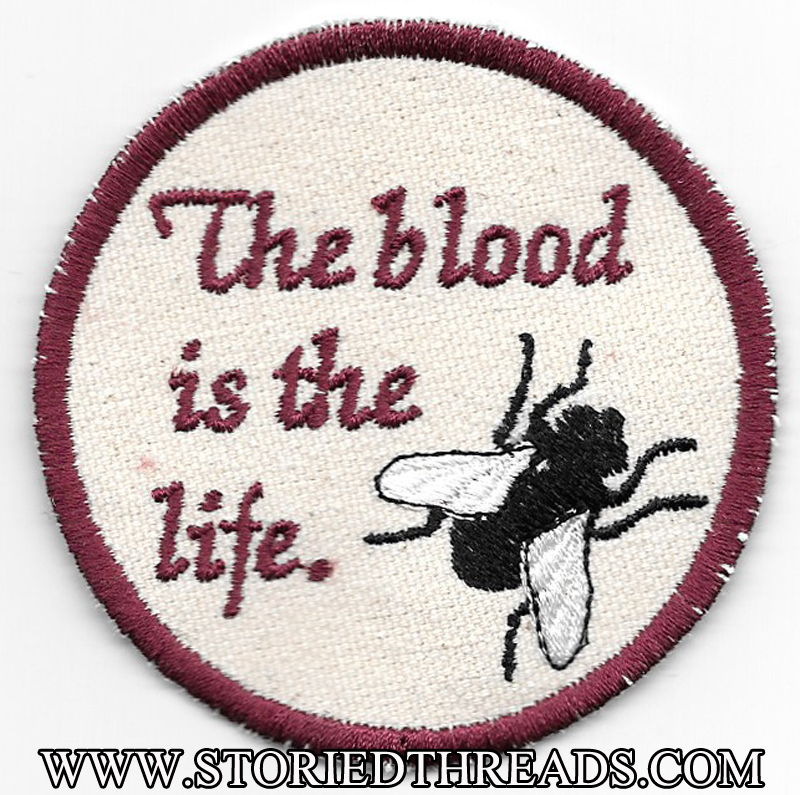 This patch is available through our Etsy shop, and on our website. 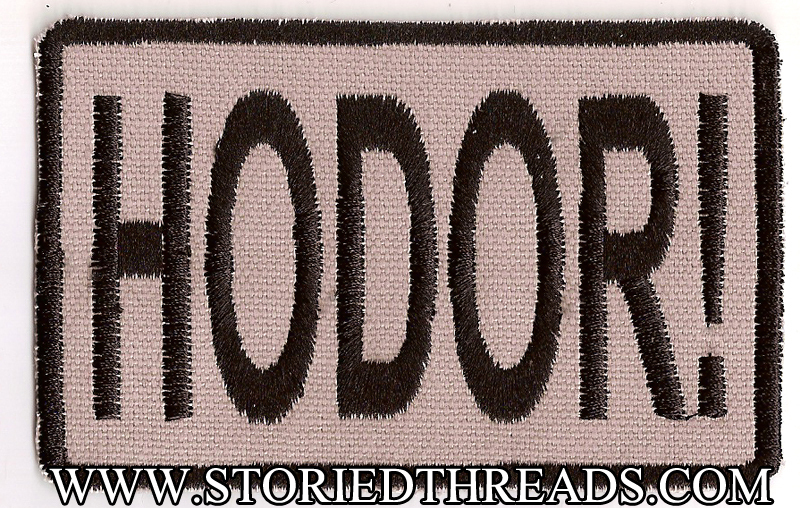 Our clearance Game of Thrones patches are going fast! We have limited quantities left of these four patches, so if you want one, grab them now — this could be your last chance! All of our clearance designs can be found on our website. Clearance Items – Now Easier to Find! Yesterday, we gave you all a complete list of our clearance patches, which are now discounted 50% from their original list price. Many of those designs are still available, and we’ve created a special Clearance category on our website to make them easier to find! You may notice that the full list we published yesterday is not there — that’s because so many of you already took advantage of this sale, and as a result several designs have already sold out. So if you see something you want in there, make sure to grab it fast, before somebody else does! Once the items we have in stock are gone, we won’t be making any more of these. PS – I apologize for the formatting of this post. Normally, I add extra space so that the images nicely align with the beginning of a paragraph, but apparently WordPress no longer supports that presentation choice. Everything I’ve tried has resulted in the extra spaces being removed from my published post. If anybody knows a fix for this, please let me know. Hey, folks! 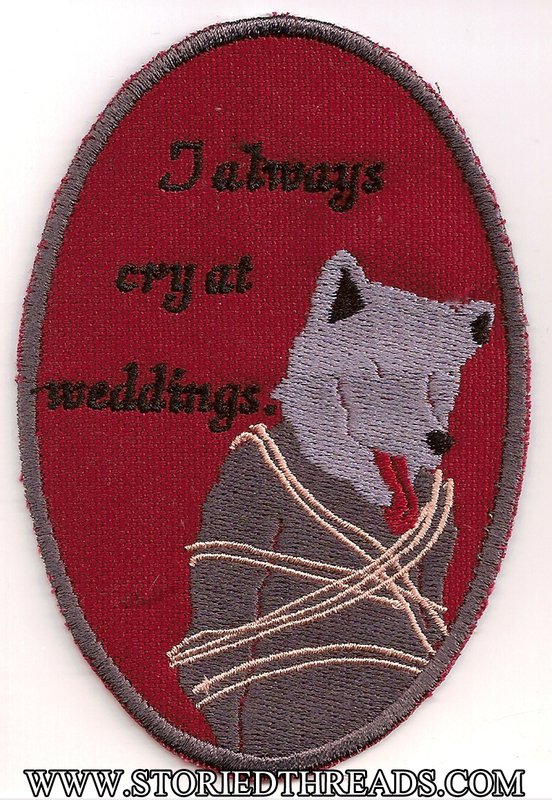 We announced the other day that we planned to retire several patch designs, and today we’re presenting the full list of patches that will be discontinued on our website and at shows. Nearly 70 designs are going away forever! These are all designs that simply do not sell well anymore, so we’re opting to cease production on these patches to make room for new items — which is especially important considering how we have limited space for inventory at conventions and faires. All of these designs have had their list price marked down on our website by 50%. 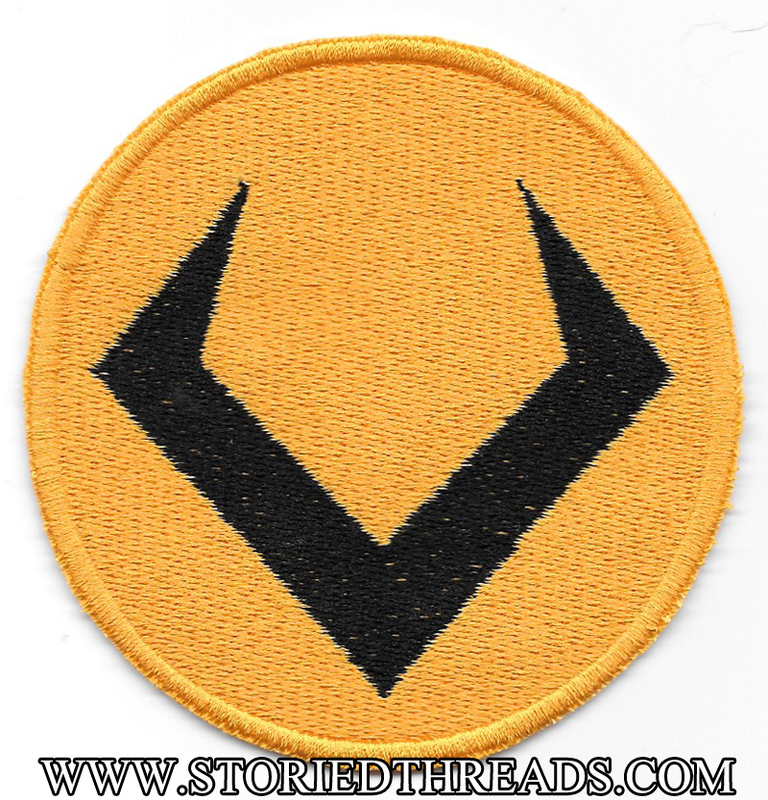 We have most of the patches on the following list in stock now, and we can ship them out immediately. Once we deplete our stock, these items will be removed from our website and our Etsy shops, so this may be your last chance to grab these items! Would You Have Me be False to my Nature? Minimalist Chekhov – I Can Do Zat! Do you have so many books that they’re overflowing your bookcases? Do you love the smell of a used bookstore? Can you lose yourself for hours in the pages of a good book? If so, then this is the bookmark for you! 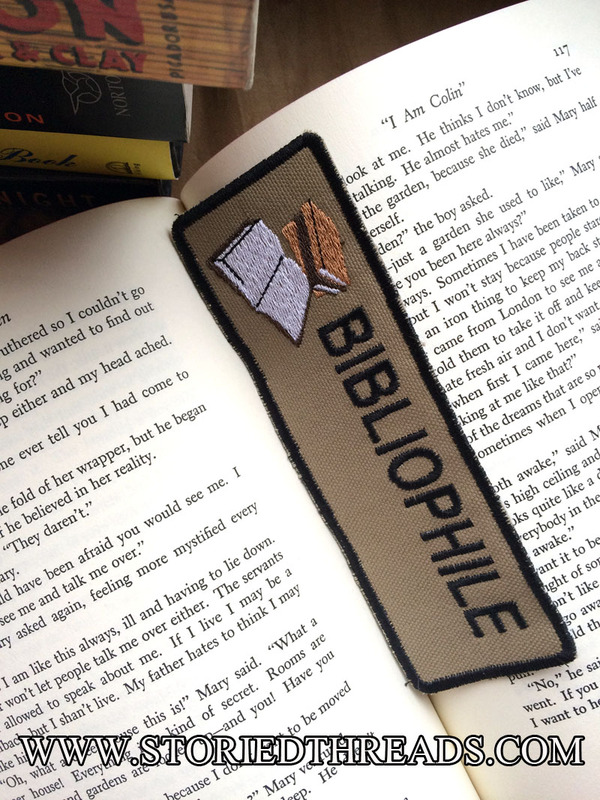 The great thing about our embroidered bookmarks — besides just being awesome bookmarks — is that are still fully functional as sew-on patches, too! 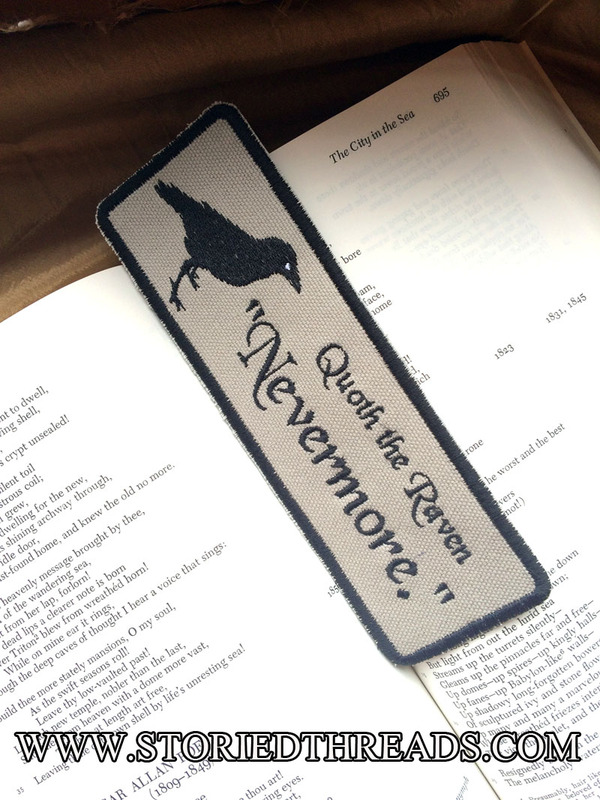 Use it to hold your place in your favorite novel, or sew it on a bag or jacket to show your literary loves to the world. This bookmark is available in our Etsy shop and on our website. When I was in London, I took tons of pictures of the Tower ravens — they were so beautiful and expressive! When I decided to do a Hugin and Munin design, it was to those pictures I turned for reference to create my art. Odin’s ravens, Hugin and Munin (meaning “thought” and “memory”) are charged with bringing him information from all over Midgard. 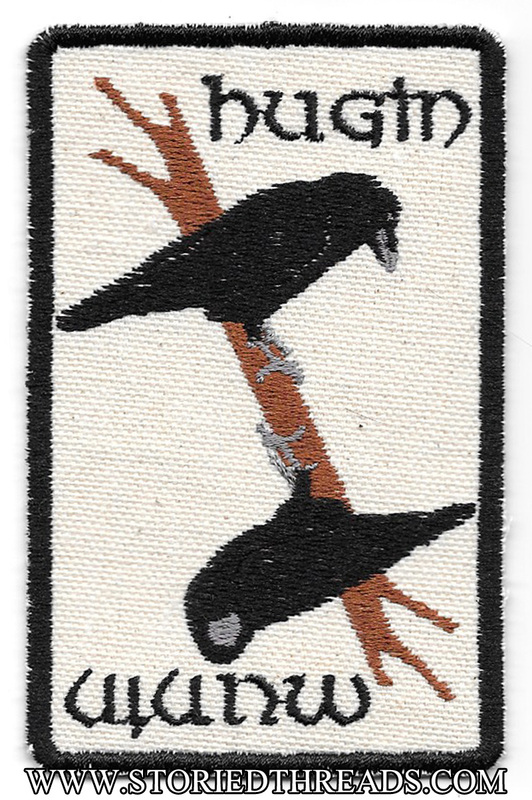 Our interpretation of the ravens are shown perched on opposite ends of a branch, in pseudo-playing card style. 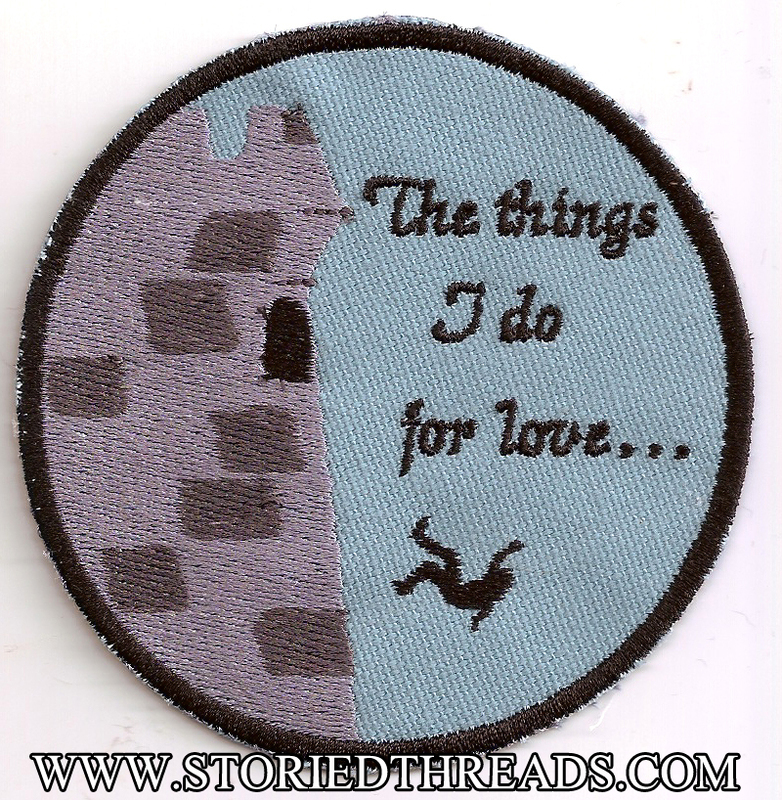 This design is available as a patch in our Etsy shop and on our website, and on a wide variety of items at Redbubble. Click here to shop at Redbubble!